A new series I am working on. Trying to find peace and safety by emotionally removing oneself from a situation. Never works and often backfires. A lot of paper dolls are being added to the shop and $3 downloads, print as many as you want! 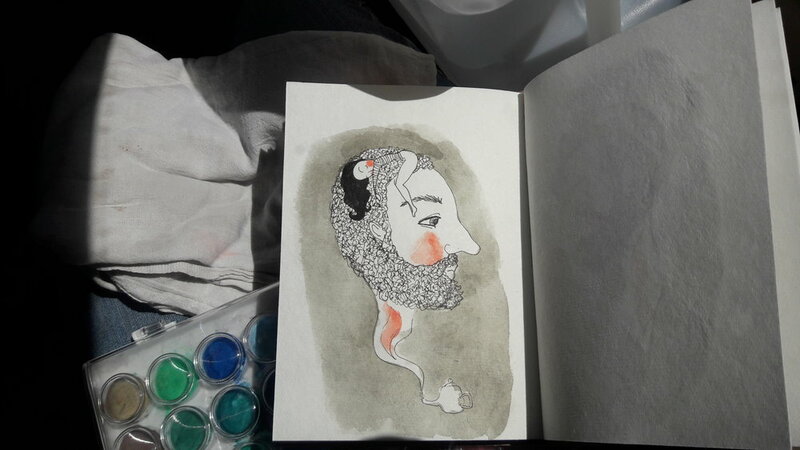 Here are a few sketches from our road trip. I really want to do a mural with the last two images. If you know of a wall, let me know.